Renting or Buying your Stairlift? and Curved Stairlifts from £75 per month. Renting a stairlift is more cost-effective if you don’t anticipate using the stairlift for many years, as it can be removed by us when no longer required. curved stairlifts from £3500 with a 12-month warranty. cost-effective than renting your stairlift. The options below provide pricing guidelines for each type of new stairlift that we supply, install, and maintain with a 24-month warranty. 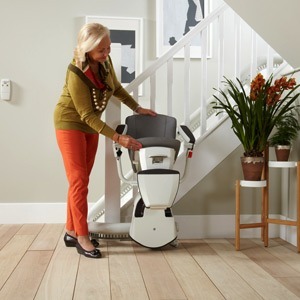 With a straight flight of stairs that is not interrupted by landings, bends or curves, a new straight stairlift on average costs between £2100 - £2300. Although we do have models available from £1150. Twists and turns, curves and bends, a simple 90 degree bend or a spiral staircase, a new curved stairlift on average costs between £4600 - £5200. Although we do have models available from £3500. Not just for indoor staircases, outdoor staircases also, be that straight or curved. 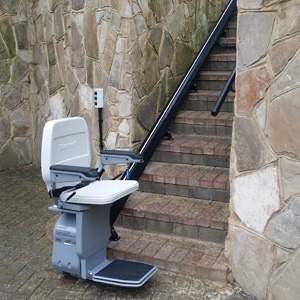 A new outdoor stairlift on average costs between £3500 - £8000. Although we do have models available from £2800. How long does it take to have a stairlift installed? If your installation is urgent please contact one of our team for an accurate turnaround timescale. 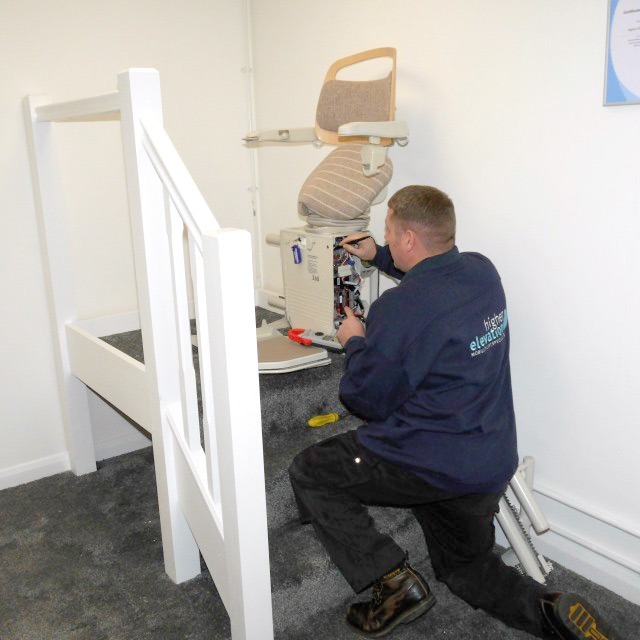 On average, our lead time on a straight stairlift is 5-7 working days from time of order. For a curved stairlift these can take a little longer due to the bespoke manufacture of the curved rail. Our average lead time on an installation for a curved stairlift is 4-6 weeks. Contact one of our team today to find out more about how Higher Elevation make it easy to buy and install stairlifts. We’ve been delighting customers throughout Kent and beyond for over 18 years. That’s why so many of our customers have great things to say about us. We invite you to our large Showroom in Maidstone, Kent for a test drive! All Stairlift models can be different in style, use and comfort. We offer a wide range of Stairlifts makes and models, so you can come and try the range and decide which best suits your requirements. We believe that nothing matters more than what our customers say about our service. We have been delighting customers for over 18 years. Many of the testimonials you see on our website were originally hand-written cards sent to us, which we cherish. Click to read over 100 testimonials! 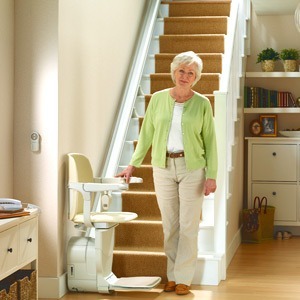 We have only experienced surveyors who have specified and installed thousands of stairlifts over the years. We have never ‘sold’ any product to a customer - our focus is on assessing the needs of the stairlift user and presenting options that match requirements and budget. The surveyor that comes out to you is an expert in installations, is not commission-incentivised, and is passionate about you getting the best solution to match your needs. Customer Service is at the forefront of Higher Elevation Ltd. 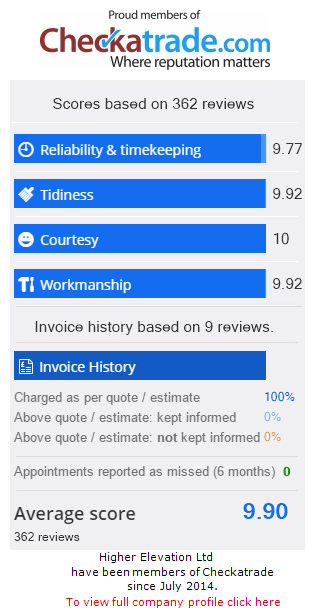 Scoring a 9.9 out of 10 from our reviews on CheckaTrade and a 5* rating on Google, speaks volumes from what our customers have to say about our products and services. We are proud to put our customers first and continue to do so. Take advantage of the knowledge and experience of South East’s largest independently owned Specialist Mobility Lift company with a combined industry experience of over 55 years. Our qualified surveyors can assess your home, needs and budget and be able to recommend the best product for your application. 1-2 man band local suppliers, offering a limited range of products and stairlift knowledge at lower budgets. Established local businesses offering a wide range of Stairlift products and knowledge to suit most budgets. Nationally-focused big brands offering a range of products at higher costs. Higher Elevation Ltd fit into the middle category. We are not limited to one single manufacturer therefore giving us the ability to offer unbiased advice and to deliver a wealth of knowledge on all products available today. … but also believe that you shouldn’t have to pay ridiculous prices. 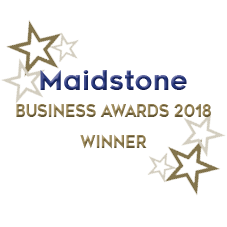 We are truly local to Kent & surrounding areas and are extremely proud of the reputation we have built up since our humble beginnings in September 2000.